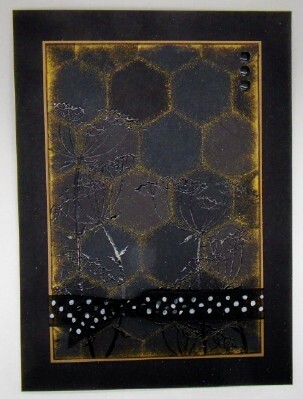 I went for shades of black for my hexagonal background and some dotty black ribbon. Of course I didn't think of how well it would photograph when I made it lol. A very simple card, using dies from, among others, Tonic and Joanna Sheen. 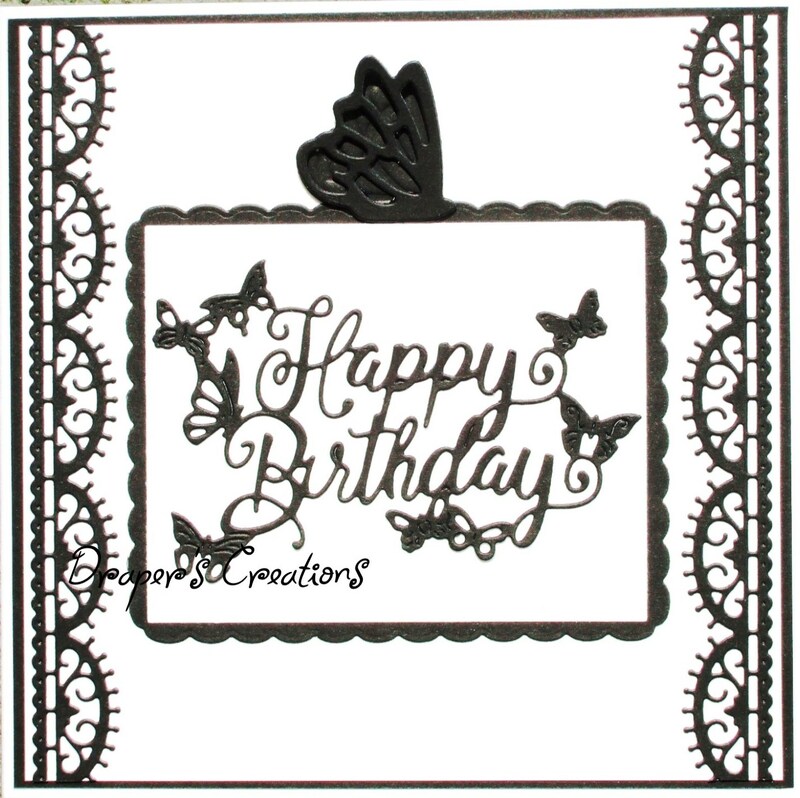 I have used Stampin Up designer paper for the background of my card then added a sentiment and Stamped and die cut butterfly from Tim Holtz. To complete my card I added a flower and brad. 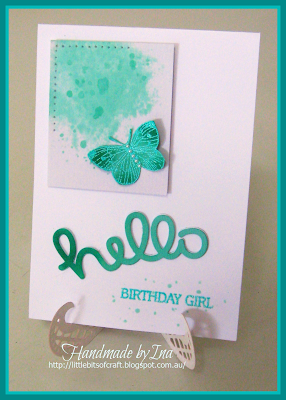 I used the water colour technique in shades of Aqua including inking my butterfly and sentiments. 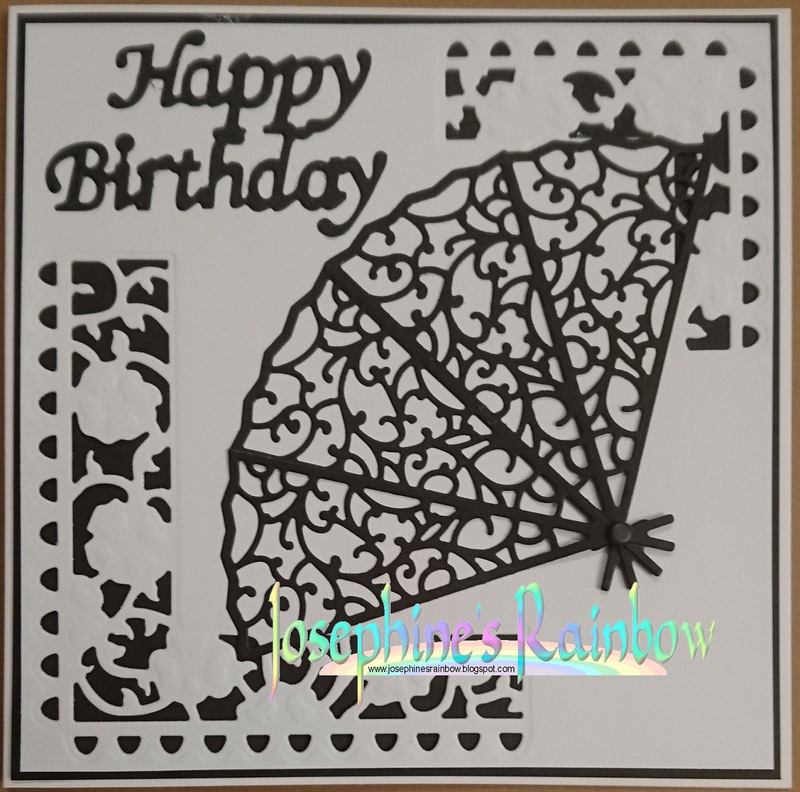 I used Tattered Lace and Tonic dies for this birthday card. Used my own Masterboard for this, cut into squares and layered up. 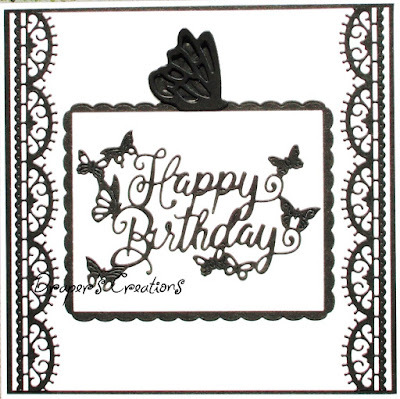 Tim Holtz birds and Honey Doo Crafts sentiment stamp. Finished with the addition of black gems and blue brads. 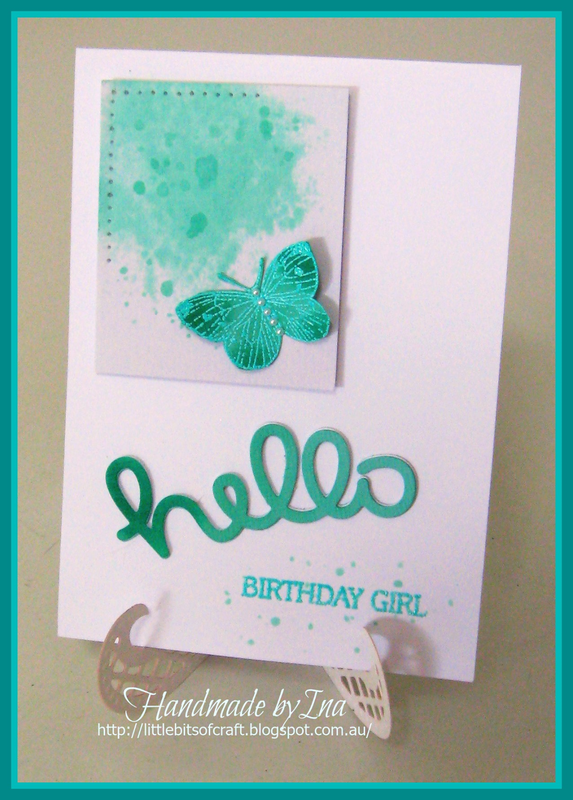 I used a Unity Stamp - Head Up, Heart Strong stamped on vellum, then colored the back of the image with Zig Clean Color Real Brush pens and adhered to my card with Zyron adhesive. 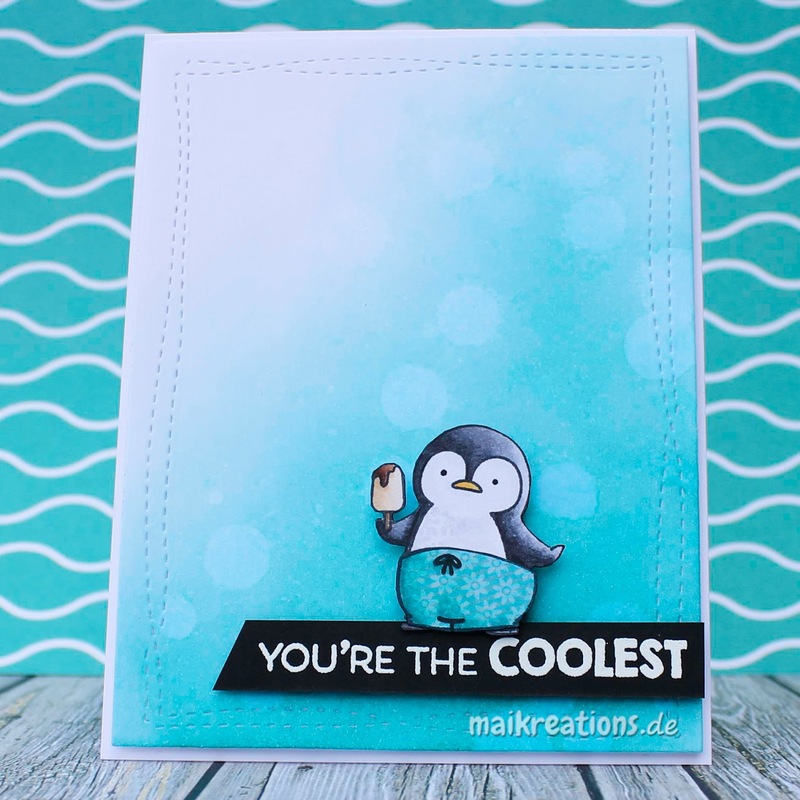 This card is for my sister who just celebrated 5 years of being cancer free! I have created a background with Peacock Feathers Distress Ink and used the paper piecing technique on the cute penguin by MFT. 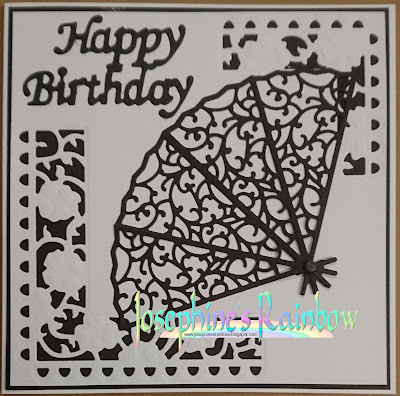 My card was made using diecuts, some brilliance inks and stamps for the background, and some stamped and cut out flowers. 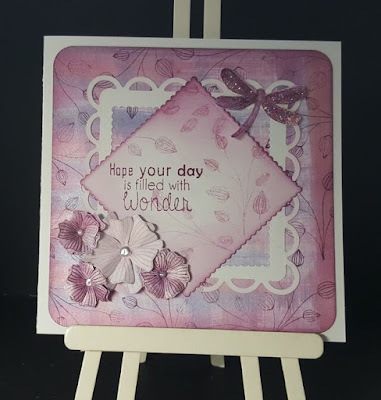 I have used a La La Land Dress Form Die and an embossing folder for some texture. 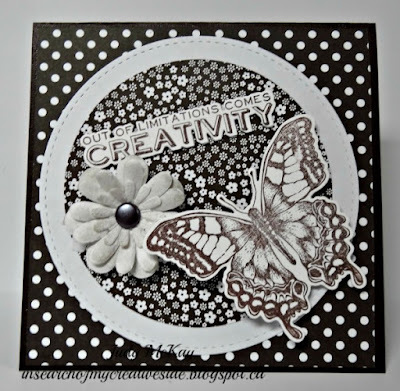 Thanks for another great challenge, gorgeous inspiration from the design team. Beautiful projects by the DT - thanks for sharing!